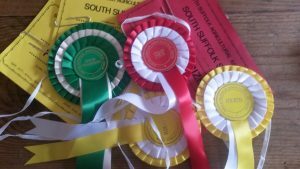 2017 Aylsham Show Success ! 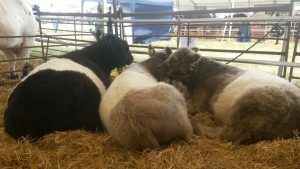 We took our show team of belted galloways to the Aylsham Show our young 2016 dun heifer Waveney Coshie came second in her class and her half brother the young dun bull Waveney Harnser won the 2016 Traditional Beef Breed Class, Best in Show Traditional Breed and the Benbow Cup, the pair of them also won their pairs class, a successful end to the 2017 Show season! 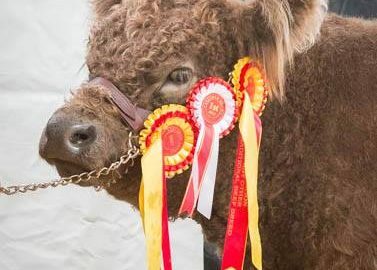 You can now purchase our beltie beef at Hillfield Farm Shop in Thorpe-next-Haddiscoe and North Green Farm Shop at Shadingfield. We took some of our Waveney Herd of belted Galloways to take part at the Royal Norfolk Show – despite the weather our “beltie team” did well with our young dun bull (Waveney Harnser) taking Reserve Overall Breed Champion and his half sister Waveney Coshie taking the Reserve Female Breed Champion award – to top it off the pair of them won the Norfolk Special and Reserve Norfolk Special Prizes for best Belted Galloways owned and bred in Norfolk – a great result! Smoked Goose Breast now Available ! 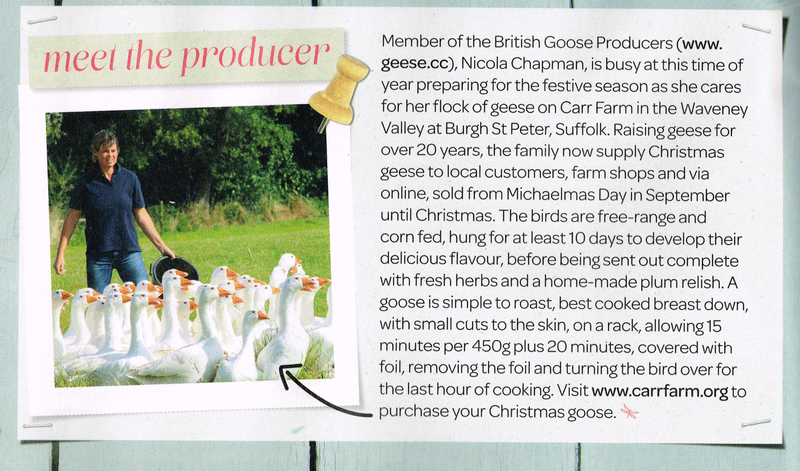 Fancy something different try our fantastic smoked goose breasts sliced and ready to eat. They are from our free range grass and corn fed birds, min. 10 day hung for great flavour. The breasts are cured in sea salt and demerara sugar then gently cold smoked with beech chips for a smooth slightly sweet and smokey flavour. 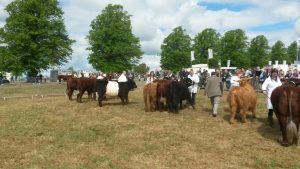 Come and visit our stall at the Beccles Food Festival on Saturday 27th May 2017 – we will have some of our lovely belted galloway beef available fresh from the butcher and also especially for the show Smoked Goose for your tea! Lots of samples to see and try, we look forward to seeing you ! We had a smashing day at South Suffolk Show yesterday, the little “beltie team” did us proud, the sun shone and we even managed to bring home a few ribbons ! Welcome to Carr Farm little Amy, Zoe and Delphi….Zoe is quite a rare thing being a Red Belted Galloway. Most people are familiar with the black and white belties but rather rarer are the dun and red belted galloways. Last year we were lucky to have two little dun calves Waveney Coshie and Waveney Harnser and this year a red one has joined the Waveney herd. Often the calves start off as a red/brown colour but change to black as they get older.